Jim Ralston is married with six children. Of the six, all but two are involved in the concrete industry. Clint is in charge of sales and training here at Fine Cut, along with anything else we think of!! He has literally been in the sawing and drilling industry his entire life. At a young age he started going to work with his father Jim Ralston on the weekends to learn the business and to spend time with his dad. By the time high school was over Clint was fluid in the business and went straight to work. After a few months of more specialized training Clint was off on his own. At one time Clint was the youngest operator to be certified by the CSDA. After learning how to cut concrete Clint went to work for the manufacturing side of the business with Husqvarna Construction Products. Over the 13+ years with Husqvarna he held several positions from Applications Specialist, District Manager and Regional Applications Manager. Clint loves to fish and golf but most of all spends time with his family. He has three beautiful daughters Alayna, Addison and Ashlee. He is married to the love of his life Amber, who he always thanks for allowing him to do what he loves. When an opportunity presents itself, an experienced entrepreneur knows when to jump on it. 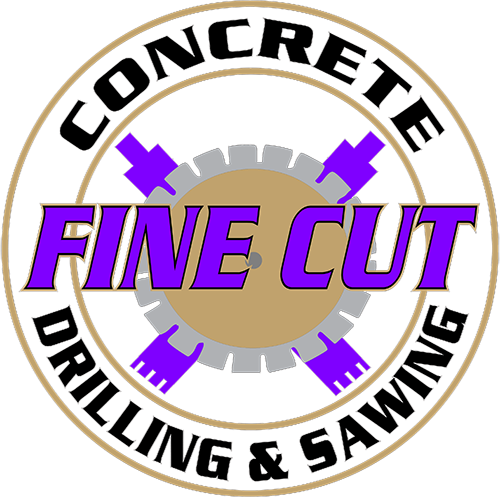 Clay was just the person Fine Cut Concrete Drilling and Sawing, LLC needed. 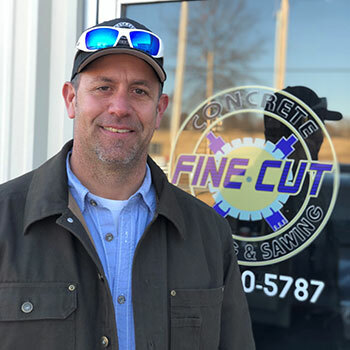 Living in Pleasant Hill, Missouri, Clay began his life’s adventures when he was sixteen years old helping to run the family dairy farm and landscaping on the side. After high school he attended a private university and graduated with a Bachelor of Science degree in Education. 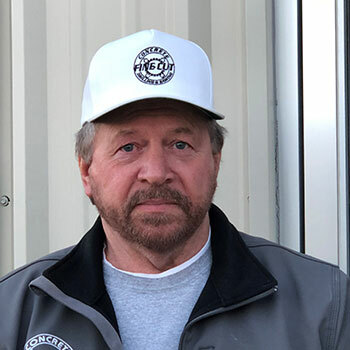 Using his life experiences and education he developed into an aggressive entrepreneur within the Kansas City and Cass County areas running Kohler Lawn & Outdoor. Clay specialized in lawn care maintenance, irrigation, spray applications, landscape, retaining walls and more. County Storage later became an addition to his portfolio. 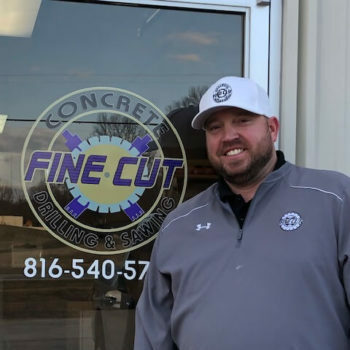 So, when the opportunity to lead Fine Cut was recognized Clay couldn’t resist the opportunity to work alongside Jim Ralston. Clay has five children and if you ask, he’ll tell you his wife is the amazing one in the family. “Living life to its fullest” is a motto our Controller, Regina Ford likes to share with people. She grew up on a farm in rural Bates County in the town of Adrian, Missouri. She’s lived most of her lifetime in Missouri except for five years in the state of Louisiana. After graduating high school, she immediately went to work and put herself through college later in her adult life. Regina earned a Bachelor of Science in Business Studies with a concentration in Organizational Leadership and went on to receive a Master of Science in Justice Studies with a Graduate Certificate in Terrorism and Homeland Security, both from Southern New Hampshire University (SNHU). Aside from her work with various corporate companies, she started up and owned Smith Quality Stucco, Inc. after her father Charles L. Metcalf, owner of Midwest Masonry, Inc., passed away. She continued to run the business until it was sold. To add to her list of experiences she has been a military spouse for 22 years. 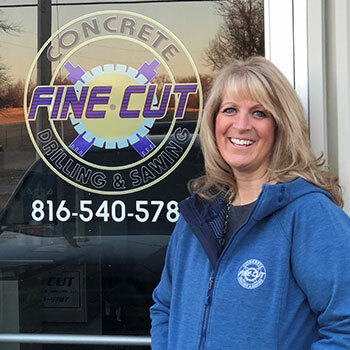 Regina came to Fine Cut Concrete Drilling and Sawing, LLC with over 30 combined years of experience in business, project management, implementation, supervision, accounting and customer service. She chose Fine Cut knowing her experience excelled in the business and construction trades. Regina’s hobbies are many. She enjoys making stained glass art, training her working German Shepherd dogs, reading and camping. She lives in Pleasant Hill, is married and has one son.